No. 1 Japanese Fountain Pen Brand: Nakaya. Although Pilot may have none of the mystique of Nakaya, they are nevertheless very functional, practical and innovative fountain pens. What Lamy is to German fountain pens, Pilot is to Japanese. Nowhere is this innovation most clearly on display than in the Pilot Vanishing Point, famous of course for it’s retractable nib. I actually used to have two of these fountain pens- in stealth matt black and the stormy grey you see below. 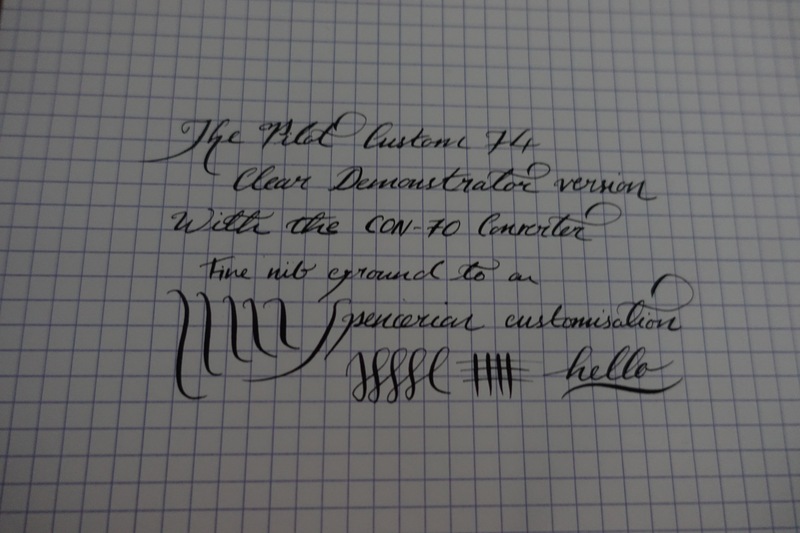 I since sold the stealth black with its matching stealth nib, but kept the grey. I ordered a ready- ground cursive italic nib unit from the USA. 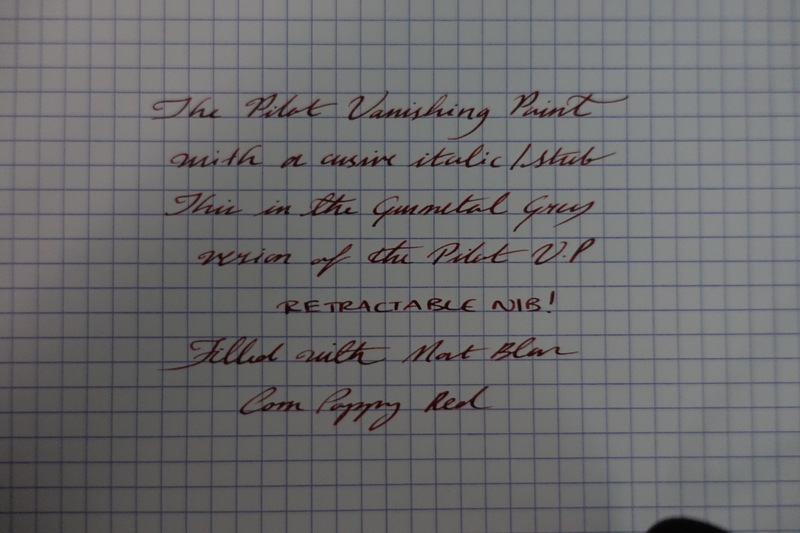 Thats another advantage of the VP- interchangeable nib units. The nib is incredibly smooth and gives excellent character to my writing- a sample can be found below. The combination of excellent nib and retractable nib is a winning combination for sure. Not even Omas could pull that off. Here it is perched on my Hobonichi Techo Planner. I find for my Hobonichi Techo Diary, my Pilot Custom 823 in Black resin with a fine nib is hard to beat. It is mainly down to the Fine nib- many people have described it as “unparalleled”. Its difficult to see why as its just a firm fine, in 14t gold. And yet, I find myself returning to this pen again and again. The balance is also nice, as is the translucent resin which acts as an ink window, as well as the vacuum filling system. But mainly its the nib. Although an Asian “fine” it lays down a good amount of ink and almost starts writing before you put pen to paper. I find this is similar to the “firm fine” on my Nakaya Decapod Twist. I actually had three versions of this pen; the black resin version with a firm fine nib, a clear demo version with a semi- flex FA nib, and a brown translucent version with a Spencerian nib. 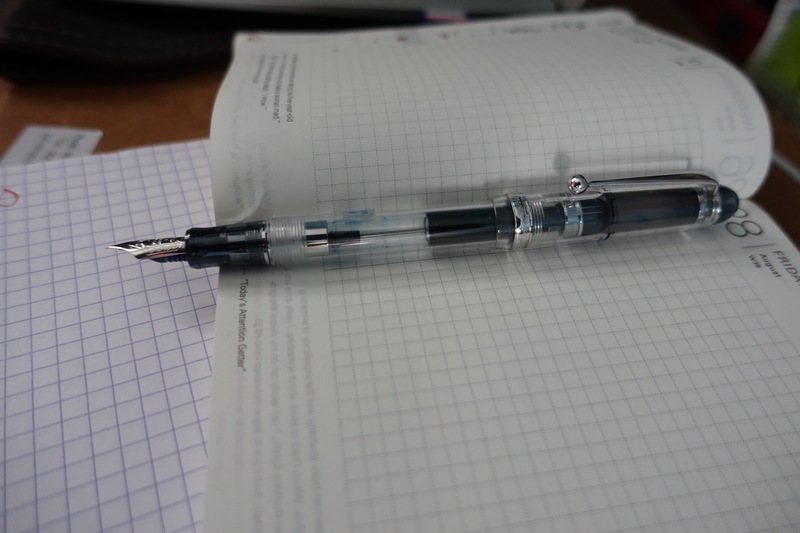 I bought the clear and black resin versions from “Tokyo Pen Shop Quill” in Japan. They are the only store to sell the 823 with these different nibs- they also sell it with the PO nib and Waverley nibs. I would highly recommend them- gracious customer service, super fast shipping and they even throw in paper origami cranes and Japanese sweets for free! I since sold the clear demo version, but pictures of it can be found below. 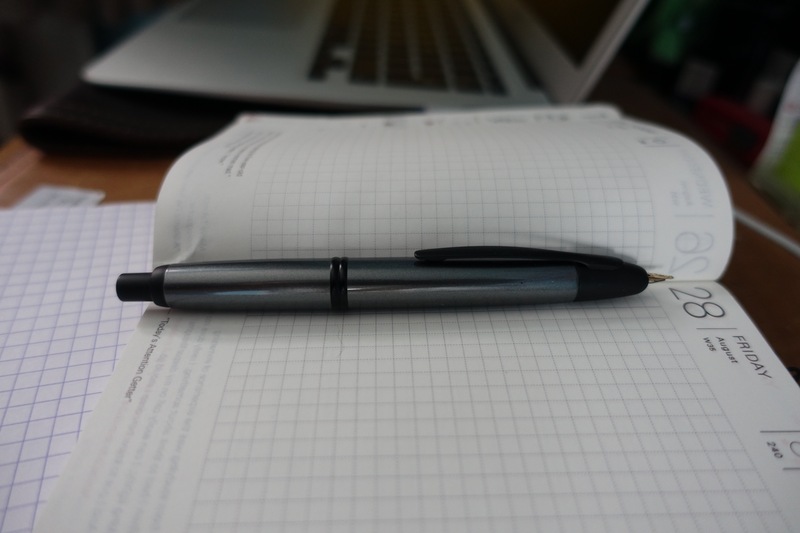 The Pilot Custom 74 is another one of those regularly recommended fountain pens like the Lamy 2000. It is not too expensive, has a gold nib, is a good size and well balanced. I bought the clear demonstrator version pictured below. It also comes with CON-70 converter which makes filling it with ink a breeze. I actually prefer the mechanism to those found in expensive piston- fillers. I had the 14t gold fine nib customised into a Spencerian by Mike Masuyama. A writing sample can be found below. Writing sample with Spencerian nib ground from a 14t Gold Fine. As much as I like Nakaya, I can’t seem to get on with their “owner-brand” Platinum. I briefly had a 3776 Sai, after reading the rave reviews, and a 3776 with a Music nib. I quickly sold both.